In the Early Middle Ages, the dead were often buried with grave goods. 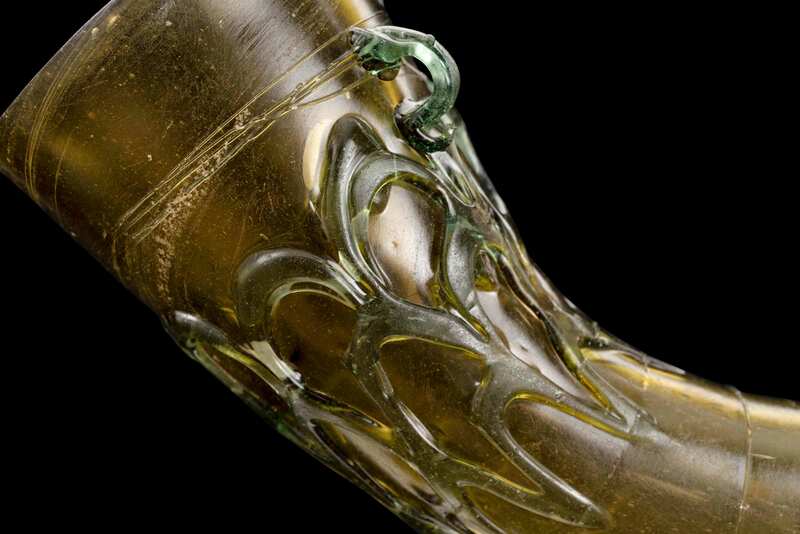 This drinking horn was possibly found in a burial ground in Anderlecht, during excavations. 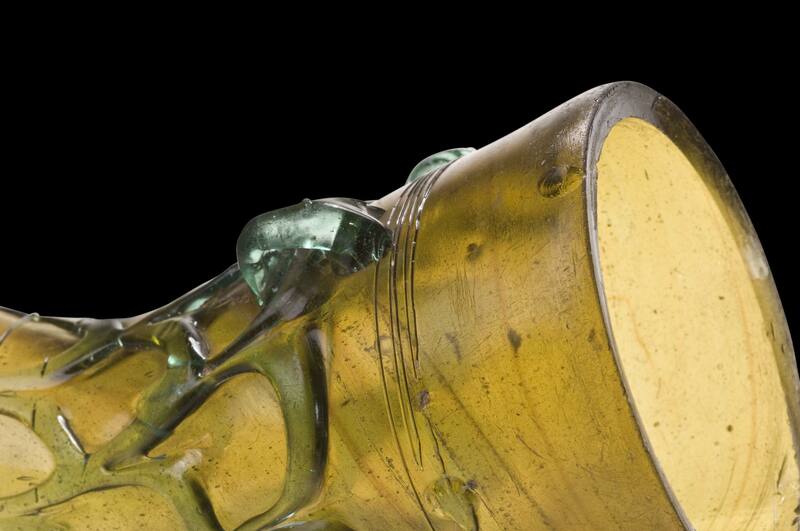 The former owner found it in the attic of his grandfather, who was a notary in Brussels. The museum acquired the item in 2010. Besides the transparent olive-yellow colour, the lattice work and the three green-blue ears, the object’s large dimension is also very characteristic. 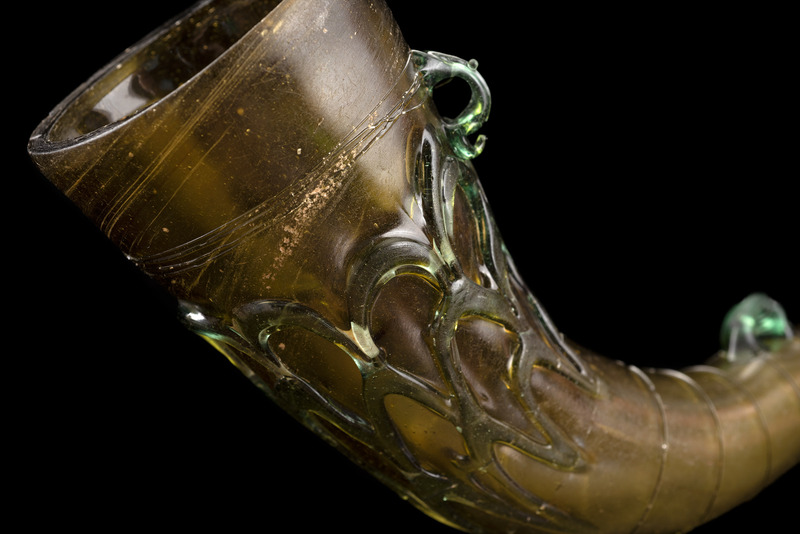 While the horn, based on type, belongs to the group of Lombardian horns with lattice work, it may have been regionally produced. 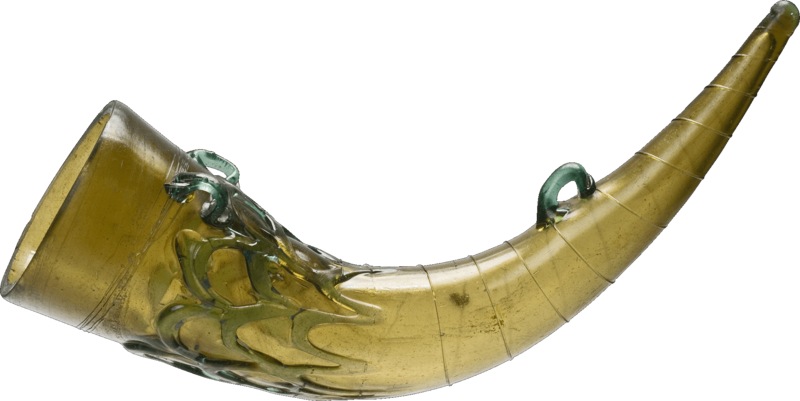 Not unexpectedly, intact glass drinking horns from antiquity or the Early Middle Ages are very rare. 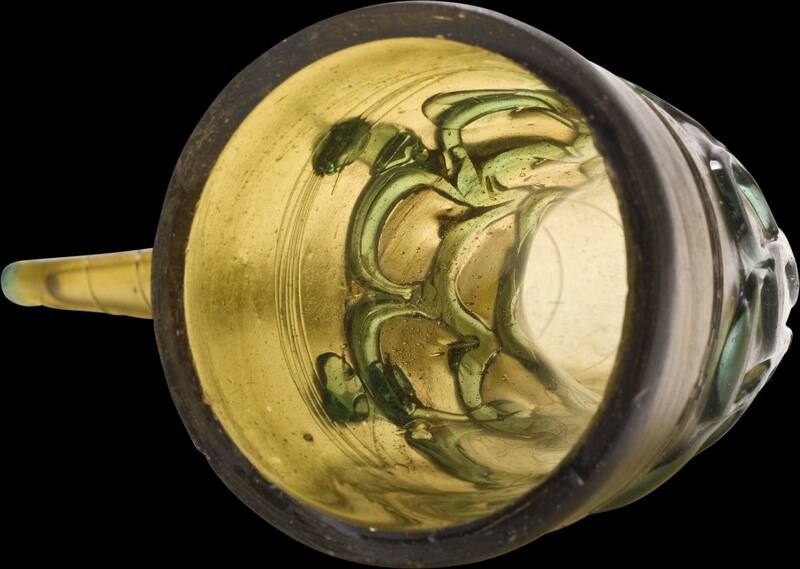 Come see this object with your own eyes in our Merovingians collection.